Shelter is huge. Shelter keeps us shielded from harsh weather. Shelter allows us to function at a normal level. Shelter brings the most basic of comforts. But without it, we are exposed. Vulnerable. Continue reading Staying Afloat During a Flood With The Next Generation Show at . Another show of talk time. I am enjoying this monthly open platform. where you the listeners get to decide where out discussion goes too. Join us in the chat for these once a month shows. Continue reading Gunsmithing the 1911 and other handguns at . I have had the great pleasure of being able to speak with a well known Author Mr. Franklin Horton. I can say my immediate impression was of a laid back and down to earth man. Saturday Feb. 23 to 24th. In the midsouth survival expo and gun show. 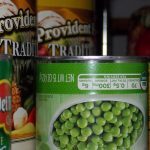 Listen to “Reliance – The Parable Of The Sower” on Spreaker. These words by the good Dr. offer up an exploration of scripture and my favorite parts are those where he describes his own personal experience of hearing God’s call. Listen to “Reliance – Recognizing God’s Call with Dr. Mike Spaulding” on Spreaker. Continue reading Reliance – Recognizing God’s Call with Dr. Mike Spaulding at . Another thought provoking episode of Reliance. Are you desperately Patient? Don’t miss this one with Steven Menking from On the Objective. Dr Mike digs further into the book of Mark. 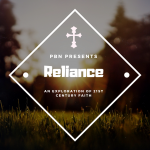 Listen to “Reliance: The Book of Mark Part 3 with Dr. Mike Spaulding” on Spreaker. Continue reading Reliance: The Book of Mark Part 3 with Dr. Mike Spaulding at .